Donald “Childish Gambino” Glover is an artist and a philosopher. As a black rapper, Childish Gambino knows how the world perceives young black men: lazy, violent, and stupid. He is known for the breaking of these racist perceptions, and the questioning of society on why these ideas of young black men are the norm. Rejected even by Hip-Hop culture, however, he is often unaccepted by his own culture and people. Childish Gambino is a young black man, and society sees him the way they see every other black man. He does not see himself that way, however, and neither does the black community at large. Gambino’s conflict is that while he is black, he does not traditionally fit in with black men and women. He wonders why, and through his albums he answers that this is the case simply because he is different. Contrary to the beliefs of the communities within and between which he moves, Gambino believes that no matter how different someone is, if they are black, they can relate to other black men and women most of the time, as the experience of blackness is pervasive. In Childish Gambino’s first album, Camp, he addresses multiple times the idea of blackness, what that means to certain people, and what he believes it truly means. In his first track “Outside”, Childish Gambino develops a commentary on how ideals and beliefs on being “hood” are very different from ideas on being “black”. Black men and women have difficult lives and circumstances, simply by virtue of being black. While some circumstances may not be as difficult as others, at the end of the day all black people experience oppression. Childish Gambino points out the common misconception that “oppression” is synonymous with being “hood”. The hood simply acts as a setting for oppression, and since many are forced by circumstance to reside in these settings, eventually the people that do will manifest a way of life based around their environment, either to “celebrate”, or “escape” it. This, however, is not being “black”, nor does this reflect “blackness”; it is being “hood”. That’s the distinction Childish Gambino draws. When Gambino initially became immersed in sub-culture of the hood, he had no knowledge or comprehension of what was before him: the clothing, language, and actions were all foreign. Although both he and the people in his new community were black, Gambino began to learn how to participate in this culture, even though doing so alienated him from his parents. Childish Gambino’s family did not come from money, but still disapproved of the hood lifestyle. When they were finally able to move up to the next level economically, they were looked down upon by their people instead of encouraged. Childish Gambino is fascinated by the jealousy of the black people from his hood, because he asserts that all black men and women, “struggle on a different plane”. No matter how different economically or culturally black people are, the struggle and the oppression is indeed, “all the same”. Later on the track, Gambino shares a conversation with his cousin who is angry at him for having a (foster) father. He tells his cousin that that is not an excuse for behaving the way he does and getting caught up in the things he is caught up in. He shares his philosophy with his cousin, stating that he doesn’t have to be a part of the hood culture if he doesn’t want to be, and that society doesn’t have a right to say who he is just because he is young and black. The concept of black paternalism or the absence thereof is a common theme running through the Camp album. Throughout the life-story that is Camp, Gambino is constantly reminded of reasons why he is not “black” and will never be accepted as such, one of the chiefest reasons being that he grew up with a father where “real” black kids didn’t. Who is to blame for the belief that in order to be “black”, that someone must be without a father? Much if not all of the blame lies on the patriarchal structure of colonialism. It reigns over the populace with firm ideals, yet the same institution that upholds strict patriarchy and calls for submission to its sovereignty spent hundreds of years eliminating the African patriarchal structure that was in place through murder, torture, separation of families, unpaid servitude, and cruel and unusual labor that still goes on today. What are the ramifications of such oppression? Have black men defeated themselves through a pseudo-slave mentality that they have no place in the black family? Where does blame end and responsibility begin? Gambino realizes responsibility and fatherhood as complicated issues, and his answer for such questions is for fathers simply to be there in whatever ways they are capable, even if only at a distance. These notions of what it is to be truly black have affected the minds of black people. To think being without a father figure is to be black also means that everything that is to come from not having a father is to be black. To be black is to go through issues such as struggling in school, participating in violence, and watching your mother or caregiver be stricken with grief over the situation they’re in. What does it actually mean to embody blackness? If being black is to struggle, then how does one embody struggle? 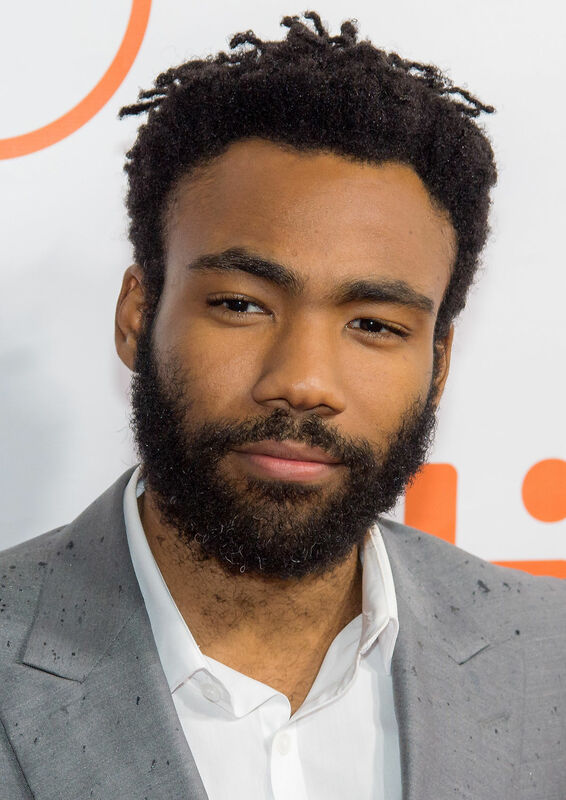 Gambino states that his naysayers neglect his struggle because he is a “token”, and so “well-spoken”. He pushes back against the idea that being around non-black people and speaking a certain way can keep you from being fully black. Those who suggest so are buying into and propagating certain stereotypes and tropes about blacks people as truth. Childish Gambino would say this suggests that in black culture, black individuals always have to look toward being someone else, instead of being who they want to be/are. Gambino states the only way to combat this is to define “real blackness” by its struggle and recognizing that that struggle is something all people with black skin share. To Gambino, this internal hatred of one’s own people because they don’t fit the mold is preposterous. Why would someone discourage another from breaking out of the bad circumstances that have been forced upon them? Why is behavior that is deemed so threatening? Hood culture seems to have its own version of bourgeoisie values that only allow those who participate in its culture to be black. The irony is, the “hood” in its complete literal and figurative sense, was used as a tool of oppression, to further impoverish, dehumanize, and segregate the black people. The hoods and projects were essentially the anti-suburbs and anti-metropolitan areas. Thus, in this separation, when White America was thriving and expanding, black America was stuck living in an almost halted state of mind, time, and socio-economic class. Gambino knows that this works both ways. The things being celebrated among black men and women as unique and stylish and something to be proud of are a method of ostracization in White America. The clothing that is pushed toward black culture and the hood sub-culture is advertised with a black person, and only a black person wearing it. Never will “black clothes” be seen on white bodies, as that would be a degradation of their whiteness. Similar advertising was used to ostracize Jews leading up to and during WWII. As previously stated, this culture has grown to be celebrated. Making something out of nothing, and making the best of what one has is worth recognition, but along the way people have forgotten that the essential point is to escape their oppression. Now when someone strays from that culture, people from those communities feel betrayed, as though their culture was beneath the one who left. In hood culture, moving up and moving out is often seen as whiteness because that version of success surrounds the one leaving with white people. White neighborhoods and places of employment tend to be the more financially well-to-do spaces to which people move. Which again supports the argument that Childish Gambino is making that hood culture takes pride in their struggle. Gambino understands, however, that hood culture is not ignorant to the fact that it is a culture manifested by forced placement and oppression. Childish Gambino knows that hood culture is essentially threatened by transcendence. Both black people and non-black people alike have a perception of being black which is essentially untrue, because the example of what “black” is today is due to the ostracization and oppression of black people. When one tries to rise above the hood, or at the very least enact a difference of interest against it, it is seen as an offensive reverse transcendence or Uncle Tom act of bourgeoisie. Childish Gambino recognizes this as unfortunate ignorance. Fear of becoming like the oppressors and colonizers if one succeeds outside of the hood realm keeps black people trapped there. The idea of “keeping things real”, Gambino would retort, is synonymous with being oppressed and taking pride in it. Gambino has a developed philosophy of blackness which runs through all of his works. He is aware, not only of the realities of how the world works, but also how the world sees him and others like him. He attempts to better himself through his art, and to help young black people by being a beacon of light, illuminating the idea that it is okay to be different and that although oppression is real, it’s okay to escape it, and no one has to submit, even inadvertently. Childish Gambino happily portrays himself and his music as, “Something for these black kids to call their own”. Eric Washington is a graduate student at The Bush School for Advanced International Affairs, Texas A&M University, in College Station, Texas.